About the same time that my wife and I started to question Monergism, we began to be interested in the early ecumenical councils of the church. We were fascinated to learn that the Sixth Ecumenical Council (680-681) had provided a framework for understanding the relationship between the human and the divine when it rejected the heresies of Monoenergism and Monothelitism. Concerned that both these positions undermined Chalcedonian Christology by implying Monophysitism (the belief that Christ has only a divine nature and not a human nature, which would be a species of Docetism), the Sixth Ecumenical Council (680-681) condemned both positions. Drawing on the theology of St. Maximus the Confessor (580-662), the council provided a framework for understanding the relationship between the human and the divine, and by extension the spiritual and the material. You may be wondering what any of this has to do with Calvinism. I confess it took us a long time to connect the dots because of how deeply Calvinist heresies were ingrained into our thinking. However, while we were still attending our Calvinist church, my wife and I started thinking about the soteriological implications of the Sixth Ecumenical Council. We began to realize that the Monergism of Calvinism seemed to be driven by many of the same concerns that animated the ancient Monoenergists, for both tended to treat the divine and the human as if they are two sides in a zero-sum transaction. Soteriological Monergism, no less than the heresy of Monoenergism, sees the divine and the human competing for the same space, and both want to give the divine all the pieces of the pie. Interesting. When Fr Andrew commented on a previous installment about a deformed Christology that contradicted the Sixth Ecumenical Council, I asked why that would be problematic for one who probably did not find the latter Ecumenical Councils binding in some fashion. Now that I see how you have tied it to Chalcedon, I can see where this would be problematic for the Reformed who hold to the Christology (or say they do) of the Chalcedon. Thanks Robin! Indeed, as the fifth and sixth councils were largely a continuation of Chalcedon, and an effort to sort out some lagging issues between the Orthodox and the non-Chalcedonians (especially on St. Justinian the Great’s part, albeit unsuccessfully). I’m glad it was helpful. It took me a while to start connecting the dots. I would like to thank you for all of these articles. Having left a reformed church a year ago, it was clear to me that the weight of scripture did not support the reformed view. Thanks again for taking the time to research and publish these as they were helpful to my understanding of the issue. I am not very astute about these things…but, after reading this series I find myself wondering why Christian groups in the Calvinist tradition are so fired up about evangelism…it seems to be the major thing they do–reaching the world for Christ. If everything is pre-determined…why do they bother? Geri, good observation. Wish I had thought of it when I was being badgered to defend Orthodoxy to calvinists. During that time, I came to realize the calvinists were not fired up about evangelism so much as they are fired up about proving Orthodoxy wrong so they can assume the word “orthodox” for themselves. Robin – would you do a similar article exploring the Reformed Calvinist’s monergist soteriology’s relation to its monergist ecclesiology? I can’t do such an article at the moment, but I have written something exploring how their ecclesiology veers towards a Nestorian-type paradigm. It is unpublished but I would be happy to email it to you. Thanks, I would like to read that. Please email it to me. (If you don’t have my email address, leave a reply and I will get it to you). I’ve written a bit about that already in an unpublished paper interacting with Peter Leithart’s views on open communion. Great article. Great series. Thank you Robin for taking the time to write all this out. I was sort of hoping for some Calvinist interaction with your article in the comments section–which hasn’t happened. This might make some happy, but this issue of “Christ’s nature” is not terribly important to my feelings about how we are saved by God’s grace. So, there will be no part 5 of my series of rebuttals, which is good, because now I can get to writing about other things! I actually find it rather alarming that Who Christ is seems to be ancillary to the question of how we are saved. Indeed, throughout most of Christian history, it is utterly at the very center. If becoming like Christ is what salvation is, then Who He is is critical. Well, if I know Christ is God and the Word made flesh, why do I have to speculate as to whether Christ was divinely schizophrenic, or if He had a mind of a 30 year old when He was one day old, and a host of Christological questions the Bible gives no answer to? At what point are we no longer worshiping Christ, but something else we call Christ? These are not matters of speculation but rather about what it means (mainly) that Christ is fully human and (occasionally) that He is fully divine (“mainly” and “occasionally” referring here to how often these things come up in Christian history). In any event, even a cursory glance at the first millennium of Christian history will reveal that the Church is very much concerned with Christology, not because it is obsessed with speculation but because it is responding to heresy. At no point was that response articulated as apathy. To answer your second question, the point at which we are worshiping a false Christ is when we insist things about Him that are not true. He Himself defines eternal life as knowing the only true God and Himself (John 17:3). Being uninterested in that is to be uninterested in salvation itself. It is good to be interested, but it is not good to add things that aren’t there. Hence, there is a disagreement over whether Christ had a fullness of intellect the moment He was born, or if His intellect would have been like that of any infant. If I have nothing to go by aside from speculation, I am not going to take it as seriously. There’s a reason why a lot of these heavy Christological debates took several hundred years to come up. In The Apostle John’s time, it was enough to simply to correct those with the false claim the Christ did not come in the flesh. Debating over what was going on in Jesus’ brain is like arguing what goes on in God the Father’s metaphorical brain. So, this whole obscure area of Christology that has nothing to do with whether He came in the flesh, whether He is God, whether He is eternal, and other easily answerable questions just does not interest me. In any event, whether Jesus Christ had two energies or wills or one, etc., is hardly an “obscure area of Christology.” (What’s the deal with “what was going on in Jesus’ brain”? That hasn’t been brought up here.) It rocked an empire, you know, and the whole Church came together to decide it. I also daresay “easily answerable” is hardly a good measure for whether a theological question is “obscure” or not. Jesus Himself made His identity a central issue. To be honest, I’m sure you don’t mean this, but the conclusion I come to from your line of argumentation is that you really do not wish to know God but are content rather with “God” as a kind of category without a personal reality. You want the stuff on His driver’s license (the “easily answerable”) but nothing more detailed than that. That’s not even the Scriptures’ approach, though, no matter what tradition one is reading them from within. It’s manifestly obvious from the Luke narrative that Christ did not have a fully formed intellect. The inclussio of “Jesus grew in wisdom and stature” that encompasses a story of Jesus sitting under the teachers of the Temple learning from them smacks you right in the face. How anyone can say that Jesus HAD a fully formed intellect is beyond me. You HAVE something to go by aside from speculation. I think that Luke 2:41-49 might lead one to think that He did indeed have more awareness of the Father’s will even in youth. Good point Father. And the reason the early church found it so necessary to respond to Christological heresies is because false theologies about Christ is wrong medicine to us. Heretical Christologies do not heal the soul. This is a very different emphasis to why heresy is wrong than what I encountered as a Calvinist. Those questions are not what is at issue. The issue is the damnable heresy of Nestorianism vs. sound doctrine: if God did not truly die on the Cross, then the Incarnation is a sham, the Crucifixion is a sham, and the Resurrection is a sham. It reduces the Precious Body of Christ, the Bread of Life broken for our sake, that we may live, to a mere meat puppet. It’s important because Nestorianism and Docetism both strike at the heart of what it means to say, “Jesus died for our sins.” Why? Because both reduce His sacrifice to a sham, the former by reducing the Precious Body of Christ to a meat puppet, and the latter by denying He really suffered anything at all. If this doesn’t matter to you, it is because you haven’t thought about it sufficiently. It seems as though the fact that in the instance of Christ we have two wills in a single hypostasis, whereas in every other interaction between the divine will and the human will we have two wills in two hypostases. Seems like a perfect justification for seeing the two as fundamentally different situations. It is indeed a perfect justification, if one assumes that salvation has nothing to do with becoming like Christ. And I think that some really do assume that, though they may not come out and say it. So much for it being “manifestly obvious,” which is the point. If the Scripture does not give a specific answer, it is okay to take a stance on something, but we need to qualify our stance with the fine print that it may be incorrect. It would be to anyone who lived within 150 years or so after the time of Christ, and I join them in feeling it is obscure and unimportant. Perhaps, but I would like to meet God on His terms that He stipulates. That is a rather big claim. Within 150 years, you have St. Irenaeus’s Adversus Haereses (AD 180), which, while not addressing the question of Monoenergism (that I can recall) nevertheless covers lots of doctrinal detail that I imagine you would not care to bother with. And certainly there is a lot of Christological detail in the writings of St. Ignatius, who is several decades earlier than Irenaeus. So one can either conclude that the Apostles failed in passing on the know-nothing Christology that you seem to be espousing, since there was a sudden interest in Christological detail at the beginning of the 2nd century, or else the faith the Apostles preached was something that naturally led to reflection on such questions, especially in response to heresy. Further, Irenaeus was addressing heresies, which if you have read the work, were extremely wacky. So, even if he addresses some Christological issues, I am not aware of his addressing the obscure questions you are concerned with, but rather proving wrong some of the zany gnostic and astrological applications to Christology. What “obscure questions” do you think we’re concerned with, anyway? You’re the one asserting monergism. Responding to it isn’t “obscure,” especially when the response is with backing from one of the great councils of the ancient Church. Ignatius did not bring up anything about this Christological issue. And, you didn’t address my rebuttal about Irenenaus. If he did happen to bring it up in response to a crazy heretic, it does not prove that the issue at hand was a huge part of Christianity as a whole. If anything, it reflects the opposite. So my point stands. SOmething that is not addressed until the end of the second century, if not some time in the 3rd or 4th centuries, is to me not relevant if it has no biblical basis. Have you read the discussions involved? These issues are very much Biblically based and often turn on how one interprets, for instance, the “let this cup pass” and “not My will but Thine” in the Garden of Gethsemane. The Church Fathers are not exactly ignorant of Scripture and, indeed, breathe it quite naturally everywhere in their language. Parts are biblically based, parts are not. They are based upon obscure parts of the Bible and not emphasized for the first few hundred years of Christian history. If they were things Paul talked about repeatedly, or Jesus talked about in detail I’d be very concerned. If they were talked about in extensive detail by the first 3 or 4 generations of church fathers, I’d be interested. Beyond that point? I question its importance. “Obscure parts of the Bible”? “I question its importance”? And what’s magical about the first three or four generations of the Fathers that abruptly disappears after? How is this anything but setting one person in judgment over the Scriptures and the entirety of the history of the Church? That is, why should I trust your judgment as to what in the Bible isn’t “obscure” or what in Christian history is “important”? It’s a historical argument. Closer to the time of Scripture, the more likely the Christian traditions of that time are actually based in apostolic practice instead of are the slow intermingling of innovations. This is precisely what you take issue with protestantism, no? It came 1500 years later, aren’t all of its assumptions anachronistic? That’s why I have been basing my opinions in Biblical exegesis, and when arguing that my interpretation is correct I first argue from 1. the internal logical consistency of the interpretation as found in Scripture and 2. evidence that the earliest interpretations of the matter are likewise. That’s what’s “magical” about the earlier church fathers than the latter, not that it is magical at all, but it is merely a way of grounding ourselves within the earliest and most accurate traditions. Good question. I suppose, we have to honestly look at the premises I am working from. To put it plainly, I believe that the importance of doctrines is in proportion of which they are discussed in Scripture itself. For example, if the Bible talks about judgment in accordance to works repeatedly, we would have to take it seriously. If the same Bible also talks about God forgiving such deeds if the person repents, then we also have to take that seriously.If the Bible talks about faith rendering someone as righteous, then this is also important. If the Bible doesn’t talk much about where babies go when they die, then I would say this is a less important matter. As a secondary premise, I believe by looking at the earliest Christian tradition outside of Scripture, we at least get to see if they emphasized the same stuff. The truth is, they did. If you read Ignatius, Polycarp or Clement it practically reads as Scripture–not because it is, but because they tended to emphasize the same exact stuff and did not focus on later issues which were of less importance. Not necessarily. The point is that the Protestant revolution in doctrine and praxis was not only new but also inconsistent with what came before. By contrast, the decrees of the Ecumenical Councils introduce no new dogma and are fully consistent with prior tradition. They are pastoral responses to heresy, not speculative inventions nor revolutions. To put it plainly, I believe that the importance of doctrines is in proportion of which they are discussed in Scripture itself. Why? Does the Scripture itself even say this once? Why could it not be read that something is repeated in Scriptures because it was a perennial problem—something that may not have been as much of a problem later? It would also seem that you would have the Church fall silent on problems that don’t happen to have arisen during the period in which the Scriptures were written. You are presuming that the Scriptures are an exhausting manual of theology rather than what most of them, especially in the NT, actually put themselves forward as being—pastoral responses to actual problems of the time. In any event, you are using an extra-Biblical method for reading the Scriptures. Why is your method superior to the method of the Holy Fathers and Ecumenical Councils? Perhaps inconsistent with middle age thought, but doctrines relating to justification are found in the Bible, reiterated by the apostolic fathers and talked about in some detail by others, such as Augustine. What I have issue with is that much of catholic and orthodox sacramental practices isn’t seen until the middle ages and even in its nascent stage, is at least two hundred years after the closing of canon, which makes me believe it is a later innovation. Meanwhile, doctrines pertaining to grace, clearly seen in Scripture and reiterated soon afterward, didn’t take hundreds of years to materialize, though it appears after the 6th century concern for them petered out with the growth of unbiblical innovations and the increased emphasis on them. That may be the case with the earlier ones, but the later we go the more obscure the issues get. For example, the idea of Christ having two wills. The Bible simply does not speak about this. We do have some cryptic indications that the Son can have an opposing will to the Father (Luke 22:42) but He submits to the Father fully by His own volition and desires the will of His Father (John 17:5). So, are there really two conflicting wills at work? Is there are human will (or weakness in the flesh) and a “God will?” I just don’t think this question has been definitively posed and answered in Scripture, and I believe the council might have been settling to issue this debatable philosophical question for concrete reasons (people were doubting the deity of Christ.) If someone does not doubt the deity of Christ and simply does not think of the matter, I frankly don’t see the point. This is again, a historical argument. The things you see more of are likely more important. All the Scripture says is that it is God breathed and useful for instruction. Neither Bible, nor early tradition, tells us to pick apart two or three words out of context and run with them, either. If the problem was important enough to make it into Scripture, God has a purpose for it. It is, I’d say, more important to understand and we should emphasize it greater. Not entirely. We just have to be more careful with the claims we make about certain things and not to exaggerate non-problematic things into problematic things. The Bible is not silent about justification, and it is clear that it does not come by the degree of works someone does, yet this confuses people to this day. Why not focus on this? My method appears to be that of Clement’s, if you read his letter. If you view the fathers as this monolithic body, that does not make sense, but I do not. What I do see is that the fathers were in agreement that when disputing doctrine, to return to Scripture to substantiate their claims. They didn’t my councils to substantiate claims, but to formalize ideas that were in the Scriptures. So, if you come to me with the Scriptures, as Augustine did with the Pelagians and Athanasius did with the Arians and Clement did with the Corinthian troublemakers, I’ll listen. I don’t think anyone here disagrees with that, but we would disagree that Calvinist doctrines of justification are found in the Bible. Again, asserting what is “found in the Bible” doesn’t establish that your interpretations are correct. And it is also true that Orthodoxy does not see Calvinism in the early Fathers, either. That two wills must be in opposition to each other was the argument of the Monothelite heretics. And the heresy wasn’t a blow against Christ’s divinity but rather His humanity, for the heretics denied His human will, not His divine one. I am beginning to think that “obscure” here actually means “I haven’t bothered to read about that.” Whatever it might mean, though, you haven’t established why your schema for interpreting not only Christian history but also the Bible itself is authoritative other than to make some sort of mathematical argument (i.e., how many times something is mentioned) or that it is a “historical argument.” It’s not like the Orthodox are unfamiliar with Church history. It’s you who are judging parts of it to be “obscure” and ignoring, for instance, the arguments of the 2nd-century Irenaeus, who locates his apostolic authority not in how many times something is mentioned in his preferred text, but rather in the succession of the clergy in apostolic sees. So you can chop up the Fathers and even the Bible itself into the parts you find “obscure” or otherwise. Yet what is your authoritative basis for doing so? Men like Ignatius and Irenaeus knew where their authority came from. But who are you? In any event, the Orthodox do not view the Fathers as “monolithic,” as though they all said exactly the same thing all the time. Yet it is clear that the Fathers saw themselves and each other as part of a single Church, not the random smattering of theological source texts that you seem to be treating them as. They not only describe themselves as “following the Holy Fathers” but will even cite earlier ones to emphasize their continuity with them. Reading the modern denominationalist preference for schism and doctrinal pluralism back into the Fathers is simply anachronistic. It’s clear that they all think of themselves as in the same thing together and believing the same faith. So, if you come to me with the Scriptures, as Augustine did with the Pelagians and Athanasius did with the Arians and Clement did with the Corinthian troublemakers, I’ll listen. Arius came with Scripture, as did Pelagius. Would you listen to them? Quoting Scripture is no guarantee of teaching the truth. This really just begs the question. I could quote Scripture at you all day long with passages that I believe make it quite obvious and clear that salvation is not a monergistic event, that salvation consists in theosis, etc., but I won’t insult you by suggesting that perhaps you just haven’t read those verses and will be converted by my quoting them. I know full well that you’ve got a Calvinist reading waiting in the wings. Throwing Bible verses back and forth not only presumes sola scriptura (which you know the Orthodox don’t believe) but is really a waste of time, even for those who do believe in that hermeneutic. They can only presume that those who disagree with their “clear,” “non-obscure” reading of Scripture must be dishonest, unintelligent or uninformed. If only they had read this verse! But do you really believe that a Church which has taught the same thing for 2000 years has missed some parts of the Bible that it wrote, compiled and canonized? Or perhaps we can begin to discuss the basis for traditions and how they functions in terms of Biblical hermeneutics, not to mention, which ones actually are authoritative. YOU ARE THE SECOND PERSON i SPOKE TO THIS ABOUT IN DETAIL, SO i AM GOING TO NEED TO MAKE A FORMAL RESPONSE. I just noticed I wrote in all caps, sorry. I will respond in the blogosphere. The Church Fathers did not believe in sola scriptura. The quotes you provide do not show that, either. That the Fathers emphasize Scripture should be no surprise. But that doesn’t mean they hold to the view that the Bible is the exclusive authority for all Christian faith and practice. They would certainly say that nothing should be done without the Scriptures or contrary to the Scriptures, but they would not say that everything that is done must be stated explicitly in the Scriptures. They even would say that the Scriptures cannot be understood correctly apart from Holy Tradition. Indeed, they place great weight on tradition and apostolic succession as necessary for getting the Scriptures right. Concerning the teachings of the Church, whether publicly proclaimed (kerygmata) or reserved to members of the household of faith (dogmata), we have received some from written sources, while others have been given to us secretly, through apostolic tradition. Both sources have equal force in true religion. No one would deny either source—no one, at any rate, who is even slightly familiar with the ordinances of the Church. If we attacked unwritten customs, claiming them to be of little importance, we would fatally mutilate the Gospel, no matter what our intentions—or rather, we would reduce the Gospel teachings to bare words. For instance (to take the first and most common example), were is the written teaching that we should sign with the sign of the Cross those who, trusting in the Name of Our Lord Jesus Christ, are to be enrolled as catechumens? Which book teaches us to pray facing the East? Have any saints left for us in writing the words to be used in the invocation over the Eucharistic bread and the cup of blessing? As everyone knows, we are not content in the liturgy simply to recite the words recorded by St. Paul or the Gospels, but we add other words both before and after, words of great importance for this mystery. We have received these words from unwritten teaching. We bless baptismal water and the oil for chrismation as well as the candidate approaching the font. By what written authority do we do this, if not from secret and mystical tradition? Even beyond blessing the oil, what written command do we have to anoint with it? What about baptizing a man with three immersions, or other baptismal rites, such as the renunciation of Satan and his angels? Are not all these things found in unpublished and unwritten teachings, which our fathers guarded in silence, safe from meddling and petty curiosity? They had learned their lesson well; reverence for the mysteries is best encouraged by silence. The uninitiated were not even allowed to be present at the mysteries; how could you expect these teachings to be paraded about in public documents? Why did the great Moses not open every part of the meeting-tent to everyone? The unclean he placed outside the sacred precincts, while the first court was assigned for the ritually pure. He judged only the Levites worthy to serve God, while sacrifices, burnt-offerings, and other priestly functions were reserved to the priests. Only one chosen from all the priests was admitted into the innermost sanctuary, but only on one day each year. Even on this one day he entered for only a short time, so that he would be amazed by the novelty and strangeness of gazing on the Holy of Holies. Moses was wise enough to realize that triteness and familiarity breed contempt, but the unusual and the unfamiliar naturally commands eager interest. In the same way, when the apostles and Fathers established ordinances for the Church, they protected the dignity of the mysteries with silence and secrecy from the beginning, since what is noised abroad to anyone at random is no mystery at all. We have unwritten tradition so that the knowledge of dogma might not become neglected and scorned through familiarity. Dogma is one thing, kerygma another; the first is observed in silence, while the other is proclaimed to the world. One form of silence is the obscurity found in certain passages of Scripture, which makes the meaning of some dogmas difficult to perceive for the reader’s own advantage. For instance, we all pray facing East, but few realize that we do this because we are seeking Paradise, our old fatherland, which God planted in the East in Eden. We all stand for prayer on Sunday, but not everyone knows why. We stand for prayer on the day of the Resurrection to remind ourselves of the graces we have been given: not only because we have been raised with Christ and are obliged to seek the things that are above, but also because Sunday seems to be an image of the age to come. Notice that although Sunday is the beginning of days, Moses does not call it the first day, but one day: “And there was evening and there was morning, one day,” since this day would recur many times. Therefore “one” and “eight” are the same, and the “one” day really refers both to itself and to the “eighth” day. Even the Psalmist follows this usage in certain titles of the psalms. This day foreshadows the state which is to follow the present age: a day without sunset, nightfall, or successor, and age which does not grow old or come to an end. It is therefore necessary for the Church to teach her newborn children to stand for prayer on this day, so that they will always be reminded of eternal life, and not neglect preparations for their journey. The entire season of Pentecost is likewise a reminder of the resurrection we expect in the age to come. If we count that one day, the first of days, and then multiply it seven times seven, we will have completed the seven weeks of the holy Pentecost, and the season ends on the same day it began (Sunday) with fifty days having elapsed. Therefore this season is an image of eternity, since it begins and ends at the same point, like a circle. During this time the ordinances of the Church instruct us to pray standing, and by this reminder our minds are made to focus on the future instead of the present. Also, every time we bend our knees for prayer and then rise again, we show by this action that through sin we fell down to earth, but our Creator, the Lover of Mankind, has called us back to heaven. It should also be noted that you don’t really seem to understand the Orthodox definition of tradition at all, because you keep writing about it as something that is “separate” from the Scripture. We don’t see it that way. Rather, the Scripture is itself the product of Holy Tradition and a witness to it. The idea that it could be separated out, that tradition is some alternate “source” from Scripture, makes no sense at all for Orthodoxy. Athanasius, defender of the doctrine of the Trinity, sees the Scripture as equivalent to tradition, saying that “our faith is right, and starts from the teaching of the Apostles and tradition of the fathers, being confirmed both by the New Testament and the Old” (To Adelphius, Letter 60, 6). But “being confirmed by” is not remotely the same thing as “is equivalent to.” You make that same essential error repeatedly. Much of your argument rests on that error. And this is just outright false: Athanasius noted that ”since holy Scripture is of all things most sufficient for us, … to those who desire to know more of these matters, [ought] to read the Divine word” (To the Bishops of Egypt, Ch 1, 4). According to the RCC or EO, “those who desire to know” could only be clergy and not laity. Where are you getting this idea? It seems that you’ve bought almost wholly into Reformation-era popular propaganda about RCism and then applied it to both Orthodoxy and Rome. Why, the author of this post is a layman, for Heaven’s sake! If he’s really prohibited from knowing what the Scriptures teach, why would this post even be published? 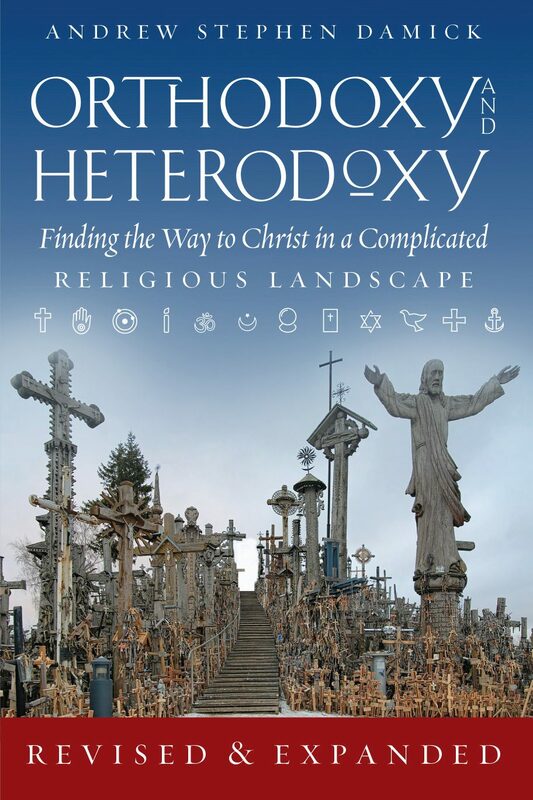 And why is there a 2000-year tradition in Orthodoxy of theology and exegesis by laymen? Look, if you’re going to argue against Orthodoxy, at least find out what the Orthodox Church teaches. I don’t think you know. With all due respect, I believe you cut Basil off short, which changes the point you are trying to make. You are saying, essentially, there are all of these extra-biblical rites and doctrines which are equal to those found in the Bible. You quote Basil to substantiate this and say that I don’t understand church tradition. What Basil is saying is very simple. He believes he has church traditions (such as praying towards the East) which are handed down from the Apostles. Because they are the same source as the Scriptures (which are written by the Apostles) they are to him carrying the “same force” in church practice. So, what is he talking about in the above quotation? Obviously, he is saying that if you disagree with him on the handed-down tradition, unless you can show written tradition (i.e. the Bible, perhaps even earlier church fathers) that contradict the doxology, he will disregard your objection. Obviously, the principle laid out here is exactly what I am talking about. When it pertains to doctrines and ecclesiology, if church teaching or practice contradicts the Scripture then it is incorrect. This puts Scripture at the center and puts it above unwritten tradition. For Pete’s sake, Basil just made explicit that you verify unwritten tradition with the written tradition. No wonder he said, “Therefore let God-inspired Scripture decide between us; and on whichever side be found doctrines in harmony with the word of God, in favour of that side will be cast the vote of truth” (Basil, Letter 189, 3). I am not trying to say that the church fathers were modern Protestants. Rather, they clearly did not view unwritten tradition as totally equal to the Scripture and unlike some modern folks, they can be convinced from the witness of Scripture if it clearly speaks to a subject. But the Orthodox don’t regard them as “totally equal,” either. The Scriptures are at the very center and height of Holy Tradition—they are part of it. Unlike Protestants, however, the Orthodox argue along with Basil that you cannot understand what is at the center of Holy Tradition without its proper context, which is all of Holy Tradition. To understand how this all works out, one only need look at what Basil’s daily Christian life looks like. He is, for instance, himself a “monarchial” bishop and a liturgist, two things which I doubt your reading of Scripture would allow. The Orthodox regard all of their doctrine and practices as being completely in harmony with Scripture. The disjuncture that you see is something we don’t. The idea that Scripture and tradition are two separate things is not an Orthodox idea. That you regard Orthodox doctrine and practice as being contrary to the Scriptures is, essentially, your problem, not that of the Orthodox. You see two disparate “sources” that contradict each other, while we see one seamless whole. That you interpret the Scriptures in a way that contradicts Holy Tradition is the innovation. Why should the traditional context of the Scriptures be discarded? That is the question that history would ask in response to the doctrinal and practical revolution of the Reformation. Why should this new manner of reading the Scriptures such that they supposedly contradict Church tradition be adopted rather than the ways that Scripture have been used for centuries before? Or to put it in starker terms: Why, if you would regard Basil as being a partisan for your Reformation, am I the one who celebrates his Divine Liturgy? This is very possible, and please comment on the blog so viewers can see from your perspective what I have portrayed incorrectly. I am not an expert on EO or anything for that matter. But I am literate and your accusation that I cannot correctly comprehend the Scripture apart from your whole lens seems to me to be hopelessly circular logic. However, unlike the church fathers, you abrogate the teaching of Scripture by going with unwritten tradition and the teachings of the fathers themselves. However, the practice of the church fathers was to use Scripture to settle matters of doctrine and differences of practice. So, in that sense, Scripture is indeed separate, because no other product of the church can be used to settle a dispute definitively as Scripture can. No, much of my argument rests on an important differentiation. The Scripture is the authoritative tradition that the fathers point to: It is the ONLY source of tradition that can be used to weigh and measure other sources (writings of the fathers, traditional church practices, etc.). So, the fact that Athanasius says that the OT and NT confirms “tradition” is exactly my point. This is why authoritative tradition is necessarily “wedded to inspired words” as Clement of Alexandria states. The way I interpreted your words was that unless I buy into the whole EO lens of understanding the entire Christian religion, then I have no basis to even have an opinion. But, this is a useless way to evaluate whether you or me are right, because by default, I would have to think how you think to understand the Bible. However, my argument is that your lens is incorrect. I am not finished with my argument. So far, I argued that the Bible in of itself does not seem that special, yet the church fathers esteemed the Scripture as able to address matters of doctrine and dispute, holding it higher than any other tradition, as they judge all things using the Scripture. My argument has two more points: The extra-bibilical traditions in those same church father’s writings contain various contradictions and out-right errors, which throws the whole idea of a monolithic “holy tradition” that is equivalent to Scripture into doubt. And, let’s face it, Scripture is not part of a “holy tradition” if that tradition cannot be reconciled with elements of the same tradition. Lastly, I rescue the Bible from accusations that the church was too flawed to get the Scripture right. This leaves the Bible as the center of church controversy, and makes the lens in which we read the Bible something that is disputable. This means, I am not be necessity forced to ignore clear teachings of the Bible and the early church, such as predestination, because a modern church claims to be the heir to the “true” traditions of the early church, even though they contradict the early church in their methods and practice. 1. If you are not an expert on Orthodoxy, you should probably first find out what the Orthodox actually believe about Scripture and its place within tradition before stating what it is Orthodoxy supposedly teaches. We certainly would not recognize ourselves in what you are saying about us. 2. If I may be so bold, it was you who decided to take the discussion to another weblog. So would you mind making your replies here instead of there? If not, then at least please don’t expect that we’re supposed to follow you offsite. 3. You seem to have a notion of Orthodoxy’s interpretation of Scripture and tradition that is basically a caricature of Roman Catholicism, i.e., that we have an infallible magisterium that has exclusive access to the Bible, etc. That’s not entirely the case for Rome, and it’s certainly not the case for Orthodoxy. 4. You say that the Holy Fathers make “various contradictions and out-right errors,” but you have yet to really do anything more than assert that. We never say that they are infallible in everything they write, but nevertheless it is not only Orthodoxy’s belief that they are essentially unanimous in what matters most, as guided particularly by conciliar decrees, but it is also their own belief. Along with their many citations of the Scriptures (for they knew them extremely well), they also cite one another and, especially in the case of the councils, claim to be “following the Holy Fathers.” That is, they were self-consciously adhering to tradition, not their private interpretation of the Scriptures. They are very much conscious that they belong to the same Church as those who came before and are following in their footsteps, not standing in judgment of them. 5. If it really is the case that the Fathers make all these errors, then why is your interpretation of Scripture correct and theirs isn’t? They witness to one another’s authority and trace it back to the Apostles. You are simply one person telling me that you’ve got the Bible right while they’ve got it wrong. But how do you really know if your holy tradition is wrong or not? You would have to go back to the Bible. So, how can I understand the holy tradition if I don’t understand the Bible? Yet, you accuse me of not knowing the Bible, because I don’t ascribe to your potentially flawed view of holy tradition. The chicken egg scenario is false. The egg came first from the evolutionary standpoint. The chicken came first from the creationist standpoint. So, if we know the Bible came first, it stands to reason that all “tradition” is read in light of it. This is why the earlier church fathers (before Basil) essentially consider tradition as adding nothing to the Bible. THe idea there is a Christian equivalent of “hadith” (in Islam) is in my mind a later Christian innovation. And one more point on this subject. We have St. Jerome writing explicitly about unwritten tradition that has “acquired the authority of written law” and records traditions such as feeding babies milk and honey after baptism. Problem is, no one does this anymore! So, is the RCC and EO wrong now? Was Jerome wrong then, even though he wrote confidently that the whole church has been doing this for ages? This seems like the hallmark of “tradition” though! Or maybe, just maybe, while the fathers were in agreement that the Scripture carries authority which is unchanging, and when we take this with the fact that the vast majority of extra-biblical traditions prove themselves out to be innovations, many being abandoned and going by the wayside, that leaves us in the modern day pretty much only with our Bibles. It is yours if you cannot offer an interpretation of the Scripture if I bring one up, such as in all those blog posts I made. So, if we know the Bible came first, it stands to reason that all “tradition” is read in light of it. But it didn’t come first. The NT didn’t even begin to be written until decades after the events of Jesus’ life, and it wasn’t likely completed until the end of the first century. And it wasn’t really in a fully recognizable canon until sometime in the fourth century. And what’s more, the Bible itself witnesses to tradition happening even before its own completion. And to complicate matters even further, the Bible nowhere even indicates what its contents ought to be. All of that is a product of tradition. This is why the earlier church fathers (before Basil) essentially consider tradition as adding nothing to the Bible. But what is “the Bible” before Basil? The earliest complete canonical list we have is from AD 367, written by Athanasius. Basil isn’t from much later. THe idea there is a Christian equivalent of “hadith” (in Islam) is in my mind a later Christian innovation. Somewhat ironically, I’d regard Protestantism as having more in common with Islam’s treatment of its scriptures. In any event, the notion of unwritten tradition that correctly interprets the written tradition predates Christianity and is actually Jewish. Among other things, the “unwritten Torah” establishes the written portion and also interprets it. That’s a pretty huge assertion. Could you make a list of this “vast majority of extra-biblical traditions” that have been “abandoned”? What about the extra-Biblical tradition of having a canon of Scriptures? Or the extra-Biblical tradition of sola scriptura? If I am so clearly incompetent, it should be very easy to address my points, be it logic or Scripture and prove me wrong, then. Sure, but if you want the opportunity to educate people ignorant of your beliefs, like me, I invite you to take advantage of the opportunity. You apparently come across that way, however. If I (or anyone else) were to quote the Bible, you would accuse them of being incapable of proving a point, because they don’t adhere to your theological worldview. But, how can one critique your worldview if in order to be taken seriously, you have to buy into your worldview? That’s a contradiction. I didn’t cover that part of my argument yet, but are you asserting that the fathers never contradict each other? I believe they are as human as me and as prone to misreading the Scripture and misunderstanding traditions that were handed down to them. So, that is why instead of impugning me we should be spending more time talking over what has actually been written. We have St. Jerome writing explicitly about unwritten tradition that has “acquired the authority of written law” and records traditions such as feeding babies milk and honey after baptism. Problem is, no one does this anymore! So, is the RCC and EO wrong now? Was Jerome wrong then, even though he wrote confidently that the whole church has been doing this for ages? This seems like the hallmark of “tradition” though! I think you’re missing my point. I don’t have to prove you wrong when you make assertions about what the Orthodox believe that aren’t true. The burden of proof is on the person making the assertion. If you’re going to say “This is what Orthodoxy teaches,” then you need to show how that’s true from reliable sources. You responded: Sure, but if you want the opportunity to educate people ignorant of your beliefs, like me, I invite you to take advantage of the opportunity. One can’t comment everywhere. 🙂 Anyway, my point was really that it’s kind of unfair for you to expect us to follow you over to your weblog when you don’t want to comment here any more. You responded: You apparently come across that way, however. If I (or anyone else) were to quote the Bible, you would accuse them of being incapable of proving a point, because they don’t adhere to your theological worldview. But, how can one critique your worldview if in order to be taken seriously, you have to buy into your worldview? That’s a contradiction. But that’s not what I’m saying at all. I’m saying that you’re making unfounded statements about what Orthodoxy teaches. You don’t have to agree with them to get them right. But you should at least get them right before critiquing them. If you think that Orthodoxy “comes across that way,” then it would behoove you to explain exactly where you are getting that from. You responded: I believe they are as human as me and as prone to misreading the Scripture and misunderstanding traditions that were handed down to them. So, that is why instead of impugning me we should be spending more time talking over what has actually been written. Yes, the Fathers certainly are human and prone to error, but they are also people with demonstrated sanctity whose words have been received as authoritative and reliable by the body of the Church. Not everyone has that. There really are right ways and wrong ways to read the Bible. If this were a universal custom throughout the whole Church that suddenly disappeared, then the question might be of major import (though even then, dogma and custom are not the same thing; one is changeable while the other is not), but one statement by one saint made in one corner of Christendom–even a very strongly worded statement–doesn’t shake the whole foundation of tradition. In any event, not all parts of tradition are of equal force, nor is everything immutable–even things found in Scripture. Do you insist, for instance, that women in church be both silent and have covered heads? If not, then you’ve changed a tradition that is witnessed to by no less than the Chosen Vessel himself, the Apostle to the Gentiles. Do you also encourage celibacy as he did? I imagine probably not. If you’re okay with that, then you might get some sense of the way tradition functions for the Orthodox (please leave the Roman Catholic Church out of this, by the way; we’re not them, and they’re not us). Tradition is the life of the Church itself, not a set of disparate source texts that we read and then try to imitate. It’s the ongoing communal experience of the Body of Christ. Some things never change (e.g., dogma), while some things do (e.g., discipline and customs). Again, what I expound is that the correct approach to doctrine is to extrapolate it sola scriptura, and that this was the method of the church fathers. For what it is worth, I did not argue that matters of Ecclesiology need to be settled sola scriptura, or even church government. I have not discount tradition outright. As another note, you need to understand that your view of Scripture and extra-biblical tradition as intermingled as one Holy Tradition is not a paradigm most people adhere to. To be honest, if we have a set of Scriptures saying one thing, and tradition saying stuff not found in the Scriptures and adding things that contradict the Scriptures, they are not so intermingled. If Scripture is always read through the lens of a tradition that is different between church father to church father, then the Scripture is not the primary and sole source of doctrine in which all things are understood, but rather you would have it the other way around. And again, the CHurch Fathers have set for us an example that Scripture has the sole role and tradition a secondary role. So, for example, if it can be shown from the Scriptures that Church soteriology should be Calvinisitic, tradition should be re-evaluated in light of this. The opposite is also true. Of course, you don’t buy into this, which is fine, but this is because you don’t buy into sola scriptura. So, our argument should not be over side issues, but whether there are specific reasons sola scriptura has merit, or does not have merit. True. So, I came up with a logical argument and proofs from the fathers that Scripture has primacy, that tradition is conflated with Scripture from the church fathers, and that we have evidence of supposed traditions that are supposed to be equal with Scripture, that we are now universally in agreement are not. And if that be the case, it puts shifting extra-biblical traditions into more doubt and debate than an unchanging canon. That’s a cowardly way to debate and it shows that you are incapable of even proving that your faith has any authority. Unless when they are not such as Jerome on baptism, or Eusebius on Christology, Origen on tons of stuff, etc. This is why these men inform us, but being that they are not internally consistent such as Scripture, they take a backseat to GOd’s word. My contention is that for most of early church history, the preponderance of the great religious thinkers would have agreed with this. This is a correct contention, as the Wisdom of Solomon for example contains an extremely accurate prophecy in chapter 2. I will address this matter for what it is worth, using history to prove my point. Apparently, just not all their words. Now, this creates a problem. What things do we decide to agree with them on and which ones we don’t? That puts you in the same exact boat as me, you’re essentially cherry picking what you like, and I even argue, even patently ignore the contentions and methods of those same church fathers you say are so authoritative. So, now this guys was in the wrong corner of Christendom? I have heard EO argue that because Hippolytus talks about infant baptism in 215 AD in such confidence that everyone does it, that it must be a “correct custom,” yet Jerome’s contention, so much more strongly worded and made at in that time the center of Christianity (Italy) is somehow wrong? Again, you’re cherry picking what you like and don’t like in the Fathers. I’m sorry, but you do injustice to the Scripture and to tradition with that mindset, not to say it also comes across as close minded. So, if not everything is tradition is of equal force, who decides how much force it carries? If the Scripture is God breathed, how is it not immutable? Yes and yes. THat is how my wife I worship. I should not cover my own head as well. Yes! I seriously considered it myself, and felt that though God has blessed me a lot spiritually in that category, not enough. I still don’t have that sense. As far as I am aware, I’m to follow those precepts as a matter of obedience. And, how do we understand dogma? Again, we must prove it from Scripture, and Scripture alone. Any extra-biblical tradition can merely inform us how others interpreted the Scripture and laid out what is dogma and what is not. Well, we’ll have to disagree, then, as I do indeed believe that the responses have addressed your concerns. If what you’re looking for, though, is a back-and-forth slinging of Bible verses, I’ll pass. It wouldn’t help. One has to decide how the Bible is to be read and whether a given church body actually can read it correctly before one even starts to use it as an authority. The Bible itself defines the Church as the “pillar and ground of the truth,” so it seems to me that prior to any hermeneutical debates, one has to establish what the Church is. It’s clear that the Fathers all regard themselves and each other as part of the same, single Church, and Orthodoxy regards itself as that same Church, too. But it is clear that you would not put yourself in the same camp as the Fathers, since, as you have said, they are just fallible readers of Scripture no different from you. The Church does. There is an ongoing, living tradition that is pretty apparent within the life of the Church. I did not say that Scripture was mutable (though of course there are a host of issues here regarding manuscript variations, canonization, etc. ), but rather that certain customs in the Scripture have clearly changed into the present day. Do you really mean to suggest that you follow every single custom outlined in Scripture everywhere? Total kosher all the time? Stoning of adulterers? Worship with incense, burnt sacrifice, an altar, images of cherubim, etc., etc.? The truth is that everyone has traditions about what to follow and what not to follow, and those traditions are of necessity extra-Biblical. Even the tradition of having a Biblical canon is itself extra-Biblical. Right, but Jerome is the outlier here. Hippolytus is not the only witness to infant baptism. Anyway, there is a big difference between whether infants should be brought into the Body of Christ and what they should be fed after baptism. I gather that you’re putting both these things in the category of “extra-Biblical traditions,” but Orthodoxy would see one as a big issue and the other as relatively small. And, how do we understand dogma? Again, we must prove it from Scripture, and Scripture alone. Really? It seems to me that that is precisely the approach to the Fathers you’ve put forward for yourself. For instance, you read Cyril of Jerusalem here as believing in sola scriptura. Yet the man is the archbishop of Jerusalem, a liturgist and monarchial bishop who is instructing catechumens for three years prior to their baptism. Even that short list of characteristics yields a whole dedication to tradition that is not explicitly put forward in Scripture. One cannot simply pick a few words from the Fathers and divorce them from their actual lives. This man is an Orthodox bishop. That means a lot of things. To me, it comes across as closed-minded to insist that I buy into sola scriptura. As for tradition itself, well, I am left wondering how you define that. For me as an Orthodox Christian, I know what Orthodox Christian tradition is. Your tradition is, as you have indicated, Calvinist. They are not the same thing. To insist that I have to read Scripture as a Calvinist or else I am doing injustice to Christian tradition is, I submit, woefully anachronistic, not to mention kind of useless. My point in commenting on your representation of Orthodoxy’s teachings regarding tradition was not any sidetracking rabbit trail, but rather goes to the heart of the matter: You are seeking to critique Orthodoxy, but I don’t think you really know what it is, not even in its basic facts. You don’t have to become Orthodox or agree with Orthodoxy to get those facts right, but if you’d like the Orthodox or anyone else who is somewhat educated on these things to pay attention to your critiques, then you need to get them right. It appears you decide to pass on anything that has to do with quoting the Scripture or the Church Fathers. I am sorry, but the “you have to buy into EO hermenteutics in order to even debate X issue” immediately excludes all viewpoints but your own. It is intellectually cowardly and it is not compelling..
And of course, the EO have a monopoly on that, so they are immune from having to be questioned by others, or even questioning themselves to see if their church is actually teaching heresies that would have not been tolerated by the first two hundred years of Christendom. I’ll tell you what the church isn’t, it isn’t a body of people that merely lay the claim to apostolic succession. THe Lutherans, Presbyterians, Anglicans, RCC and EO all do to varying degrees as far as I know. Then we have clear examples of hypocrisy (i.e. the Corinthian church of the late 2nd century veiled their maidens, while the modern EO church in Corinth does not) which shows the obvious abandonment of supposed Apostolic tradition. Sorry, I don’t buy that you have a monopoly on truth, and until I accept the fact that you have the monopoly, we can even have a conversation. Again, a very cowardly argument. This is incorrect. They are capable of error, hence the fact that they were often disagreeing with one another. SO at some level, we need discernment in deciding which tradition is correct and which interpretation of Scripture is correct. Why is St. Basil’s view of soteriology superior to Augustine’s, for example? Ultimately, some level of discernment is needed. Yes, but if it is subject to change, while the Scripture is not, primacy rests in the unchanging authority. Wow, I presume you have been to seminary, so I know you understand how disingenuous you are being. Obviously, with a change of covenants, the way in which we show obedience to God has changed vastly. Paul is explicit about this and gives specific examples. Do I believe that women should wear head coverings, men act as teachers, there should be the Eucharist and baptism, etc? Of course. The New Testament is specific that these ordinances are to be carried out. So, somewhere in your meandering answer, my question remains unanswered: Is the Bible mutable and unreliable? He is the first, though. Before him we had Justin Martyr, Irenaeus, Ignatius, the Didache and the Bible itself only speaking of the baptizing of believers. So, we have a plethora of witnesses that only speak about the opposite, all earlier. Jerome, like Hippolytus, commented with great confidence. And after Hippolytus, the issue still wasn’t settled for centuries. So, I don’t see proof of a tradition that was always followed, but proof of one tradition that won out in the end and one that didn’t. In the Pastoral Epistles, Paul sets out teachings and ask timothy to draw such sound doctrine from the Scripture (2 Tim 3:16). All the Creeds and Church Fathers used Scripture to substantiate their contentions. You, and perhaps your whole church these days, as decidedly not. Granted, and if you noticed, I never made an argument without looking into the tradition first. However, the Fathers would agree, the Scripture is the primary source for their doctrine. This is why in the best quote you can pull out from Cyril, even he returns to the Scripture in the next paragraph. Of course, because I have to make sure what the Fathers say is in accord with our only immutable source of tradition, the Scripture. You pretty much are going to the mall and perusing what you like from Jerome, and what you don;t, and what you like from Augustine and what you don’t, and etc. But, without Scripture setting the bar, as Cyril points out, then we have no bar. WHich is why all of your “tradition” is a sham, and not the same tradition of the Fathers, where they very obviously did defer to Scripture instead of patently ignoring it. Now, I’m not making the same argument as Basil, that oral tradition of the Apostles has been accurately passed down and should be followed. Being that we don’t have traditions recorded for hundreds of years, from a historical basis, the fact that so many bishops never knew about them and all of the sudden a bishop in the 4th, 5th, or even 10th century accurately preserved such a tradition is almost completely impossible. That being said, his own words betray that tradition does not carry equal force to the Scriptures. The point I am making is that Basil says if you disagree with a tradition, the only evidence he will allow to counter him is Scripture. SO, what is he saying in chapters 66 and 67? He is saying that traditions from the Apostles (presumably accurate) are inspired by God, equally to the Scripture which was written by those same Apostles. If someone heterodox takes issue with the tradition, they must show how the tradition (presumably universally accepted) would be in contradiction with the Scripture. Nothing specific. It is mentioned in Daniel 6 when Daniel prays towards Jerusalem. And this is Basil’s point. The tradition from the APostles fills many gaps in things Scripture does not explain. However, if some tradition is in doubt, show him from the Scriptures where he is wrong. After all, if the same apostles wrote both, they should not contradict. SO, this whole debate started over Calvinism. If the fathers adhere to different parts of Calvinist doctrine and others dispute this, how do we settle it? We do what Basil did. We show from the Scriptures how one side is right and the other is wrong. “Therefore let God-inspired Scripture decide between us; and on whichever side be found doctrines in harmony with the word of God, in favour of that side will be cast the vote of truth” (Basil, Letter 189, 3). The “you have to buy into EO hermenteutics in order to even debate X issue” argument immediately excludes all viewpoints but your own. It is intellectually cowardly and it is not compelling. Period. Not really. My tradition is the same as the one you claim, but not the one you really have. You claim all the church fathers are with you. The problem is, not all the church fathers were even with each other. I am being honest that I am using some level of discernment in trying to ascertain what the Apostles actually taught, not cherry picking stuff from different people and then deciding this monolothic tradition must be apostolic. I am making an argument from history and deferring tot he sources. You are avoiding the sources. We couldn’t be more different. No, you are by definition side tracking. I want to talk soteriology. You want to avoid talking about it, and go over why only EO can talk about it. Again, cowardly and not compelling. You can imply I am uneducated all you want. You know what, I am. I’m just a layman. But I am not a alyman who is so incapable of critical thinking that I am unable to speak about an issue. I mean, you are acting completely paralyzed. Only EO can talk soteriology! I’m sorry, but only in bizarro world can that come across as intellectually respectable. Let’s drop that line of argumentation, and if you want to argue from the Scripture and the tradition of the fathers how I am wrong, then fine, please prove me wrong. I actually want to understand what the Scripture and fathers really teach. But you have been avoiding wholesale. And I don’t want to call you a coward, but your line of argumentation is weak and cowardly. I think you are capable of speaking from your conviction and giving an honesty account. Please do so and don’t avoid it. It appears you decide to pass on anything that has to do with quoting the Scripture or the Church Fathers. Well, that’s just not true. Since you’ve accused me several times of such things, though (despite it being plain from reading my replies that it’s not true), I’m finished responding. Especially when Luke specifically envelopes the Jesus at the Temple pericope with this phrase. This freaky docetic infant who doesn’t learn or develop is not Christian in any way. How much more manifestly obvious can “Grew in wisdom and stature” be? How can you read “grew in wisdom” to mean “was fully omnipotent from birth.” He obviously developed intellectually on some level. With this comment, you’ve expanded beyond commenting on Jesus’ humanity (i.e., whether He grew in wisdom and stature, which no Orthodox Christian would deny) to commenting on His divinity. If He’s not “omnipotent from birth” (though, really, we should be talking about His conception), then He’s not fully God. Is that what you teach? Sorry I was responding quickly. I meant to say “omniscient” and I should have been precise. The interplay between the human intellect of Christ and the omniscience of Christ is complex, as I’m sure you know. What I meant is that to concieve of Christ as fully exercising omniscience and not developing in wisdom, intellect, and in some sense knowledge, is a manifestly docetic perspective (not to mention the fact that it is flatly contrary to the Lukan account). You won’t get an argument from me on what I think you’re saying here, though I wouldn’t use the term omniscience to refer to any human attribute. So to oppose omniscience to Christ’s human intellectual development is pretty problematic. Jesus’ human intellect doesn’t develop into omniscience. He is omniscient from before His conception because He is God. But Robin was a Calvinist. He’s representing what he himself believed and also what those he’s spoken with say they believe. Robin may have been a modern Monadic Predestinarian who followed John Piper and R.C. Sproul, but nothing you have described is traditional, historic Reformed Orthodoxy as defined by their binding confessions or those who enumerated the tradition in conversation with the Medieval and Ancient Church. This representation of the tradition through individuals who are on the fringe, however popular they may be, is exactly the methodological problem you accuse others of. A little consistency would be nice if you want to be taken seriously. The title of the blog posts should be Why I stopped being a Unitarian, while thinking I was a Calvinist, and Fell for the False Dilemmas of Another Communion. The same problem can be found in figures like Vermigli to Berkhof. Vermigli for example says that the Logos was attendant to the suffering of the man on the Cross. berkhoff isn’t much better. Much of the problem is found in the Reformed conception of the Persona Mediatoris, which is discussed in Muller’s Christ and the Decree. Can you support those statements with argument and quotations? So Robin was Reformed but not really and if he was truly Reformed he’d see that the actual Reformed tradition, obscured by Sproul and Piper, is the real one and he wouldn’t have become Orthodox. How are those comments not trolling? This was totally excellent Robin in a multitude of ways! Can I ask if you could explain the doctrinal lineage of Calvin? My best understanding is that Calvin derived his ideas from his adoration of Augustine, who got his ideas from his adoration of the NeoPlatonists. It does appear to me to be a hybrid tree i.e. gnostic/neoplatonist syncretism. The dualistic nature of the deity from Gnosticism and the hard determinism element from the books of Plotinus and company. But that is only my best guess from a deconstructing of the essential constituents within the doctrine, and I would very much appreciate your thoughts.